One of the best smells of the year is the smell of the baked goodies you’re going to make when Christmas comes around. But since most of these treats will probably contain huge amounts of sugar, butter, and other such ingredients that can damage your children’s young and undeveloped bodies, finding healthier snacks you can give them becomes a priority. 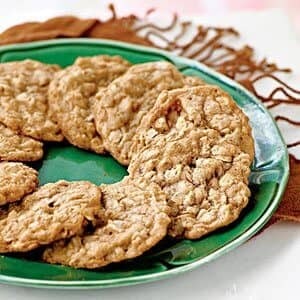 Although grandma’s delicious molasses crackles might be a family tradition, your kids will definitely appreciate a change in this holiday routine, especially if it comes with tastier flavors they’ll enjoy. Check out the following 14+ healthy Christmas snacks for kids we’ve listed below, which have been carefully hand-picked in order to ensure that your children will enjoy them. Here’s another fun way of using a reindeer as inspiration for your healthy Christmas snacks for your children. Much to your delight, you’ll need just a few ingredients to make this treat, and these including nutria-grain cereal bars, a few apple slices, and 3 raisins, which will help you decorate this tasty and nourishing fellow to make it look more real. Cut the cereal bars in several squares and rectangles in order to create the body of a reindeer, then cut two tiny squares out of 2 slices of apple to create the antlers. A small slice of apple will be ideal for the nose, whilst the two raisins will make splendid eyes for your little reindeer. Just because Christmas is about baking delicious, buttery goodies, this doesn’t mean that you can’t take on a healthier approach, and try some of the above-mentioned healthy Christmas snacks for kids. While some might not be to your little ones’ liking, others will certainly be very appealing, and you can ask them to assist you in prepping them if you want. You’ll be able not only to help them eat healthier and nourish their bodies better than usually, but also to help them get creative, and perhaps develop a passion for cooking.